The James Hutton Institute is an international research centre based in Scotland that brought together the Macaulay Land Use Research Institute (MLURI) and The Scottish Crop Research Institute (SCRI) on 1 April 2011. Combining these two organisations now means there are over 550 members of staff. Disciplinary expertise is exceptionally broad including soil, plant and animal sciences, geography, socio-economics and computational specialisms. This scientific depth is reinforced by an excellent research infrastructure and the availability of dedicated technical support specialists within research teams. The organisation is actively outward facing and innovation focused, engaging in both knowledge exchange with industry and cooperative research with government policy makers, natural heritage agencies, the water industry and the statutory environmental protection agencies. Hutton staff is able to contribute to all aspects of the proposal with particular skills in the conduct of integrative, interdisciplinary and policy–facing research relating to the nexus of water, biodiversity, land, food and climate. I am a senior researcher with 24 years’ experience of working in, and leading, inter-disciplinary research across social, natural and computational sciences. Domains of interest include sustainable land use systems (at business, catchment, regional and National scales), climate change (risk, adaptation and mitigation) and the effectiveness of policy interventions (particularly the instruments of the Common Agricultural Policy). My expertise in developing and evaluating multi-objective land use decision support systems is now being applied in processes of science-stakeholder and science-policy engagement. Dave’s principal role is as a GIS Specialist embedded within a multi-disciplinary team focussing on agricultural policy issues, sustainable land use systems, and climate change. Much of this work centres around CAP Reform issues for Scottish Government. In recent years he has also participated in contract work for the European Commission, including the EU/Interreg IVB Aquarius project and the EU FP7 SMILE project. Dave also participates in the delivery of an undergraduate module in GIS and Remote Sensing to students in Countryside Management and Sustainable Environmental Management at Scotland’s Rural College (SRUC). Kerry Waylen is a senior social scientist in the Social Economic and Economic Sciences Group (SEGS) at the James Hutton Institute. Her research seeks to understand the challenges of introducing new concepts and ways of managing our natural environment, including the challenges of adopting new approaches to water and flood risk management (including past work on the FP7 REFRESH project and the CRUE ERA-NET UR-Flood project). She is a political ecologist and is particularly interested in the opportunities and outcomes of encouraging participatory approaches to managing the environment, the challenges of considering and connecting multiple goals, and how to enable this (e.g. in past work on FP7 COMET-LA project). 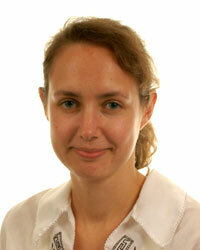 She has expertise in science-policy interfaces and in the co-production and use of different knowledges (e.g. see the FP7 SPIRAL project) and how this affects outcomes for sustainable management of our natural resources. My background is in Sociology, with a joint honours degree in Sociology with Gender Studies from Edinburgh University and a PhD in Sociology from James Cook University, Australia. 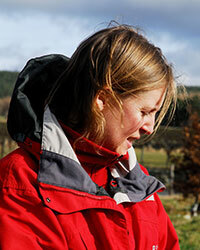 I have worked at James Hutton Institute (was Macaulay Land Use Research Institute) since 2003. Currently, I am coordinating a £8million Scottish Government research project on integrated and sustainable management of natural assets (2016-2021). My research focuses on governance, particularly public and stakeholder participation in environmental policy making and implementation. I have an associated interest in the use of ‘tools’ as deliberative boundary objects in decision making and evaluation processes. I generally favour mixed qualitative methods such as interviews, focus groups and participant observation. Threading through my research is an interest in reconciling critical approaches to policy making and implementation with constructive engagement in knowledge exchange with policy actors. This reflects my interest in ‘studying up’ – using the politics and practices of participatory research to work with people in positions of power and authority. I have been considering how an ecosystems approach co-exists with, conflicts with or shapes existing policies shaping Scottish land and water management, and am moving into the study of reconciling living within planetary boundaries with social, environmental and geographical justice. 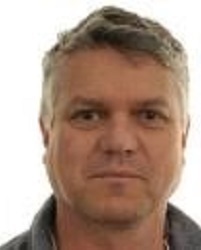 Mike is an interdisciplinary research scientist at the James Hutton Institute in Scotland, covering land use systems modelling, climate change model evaluation, impacts and adaptation, food security and socio-ecosystem resilience. 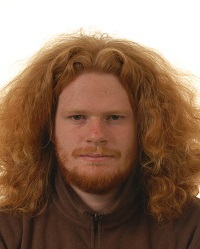 He gained his PhD from Edinburgh University in 2010. Further interests include risk evaluation, social metabolism, emergy, social learning, stakeholder engagement and participatory deliberation. He has contributed to UNEP policy briefs, the US National Climate Assessment and 25+ journal papers. 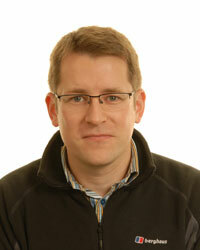 Doug is a geographic data specialist with skills relating to spatial and non-spatial data manipulation. 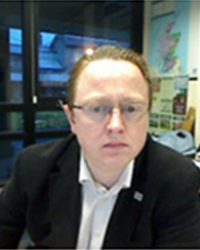 Since starting at the James Hutton Institute in 2013 he has undertaken a variety of projects including analysis of climate change data, modelling and analysis of Common Agricultural Policy data, as well as a pilot project involving geographic data visualisation in a stakeholder engagement workshop using a touchtable device. Previously He has worked as GIS Officer for the GLNG Gas Transmission pipeline construction project in North Eastern Australia.